#New Release from Guest Maureen Bonatch #Giveaway Why this Story? Forget Me Not, a new release by Maureen Bonatch. Please welcome my guest Maureen Bonatch. She’s here to tell us more about her new release. Please share how you came up with the idea for this story. The story for FORGET ME NOT formed last February while my hubby, my girls, and I stole away to a cabin over Valentine’s weekend to relax and enjoy quiet time together. Despite ensuring access to the finer things in life such as bathroom and shower facilities, the snow blanketed our remote cabin into peace and solitude. I spent this time reflecting upon how fast life goes by and how many decisions are guided by our head and not our hearts. These decisions might prove fruitful financially, but no money can buy, or replace, true love. FORGET ME NOT is about second chances and taking the time to enjoy the little things in life like family, friends and good conversation. My heroine must learn to shed her insecurities and embrace the small town where everyone knows everything and loves you all the more because of it. Link to Page on my Blog for Giveaway. 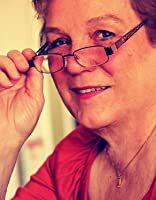 Author Barbara EdwardsPosted on January 19, 2016 January 17, 2016 Categories family and friends, My Favorite Books, writingTags ESP, fantasy, Forget Me Not, humor, Maureen Bonatch, novella clairvoyance, psychic, romance, second chance romance, small town romance2 Comments on #New Release from Guest Maureen Bonatch #Giveaway Why this Story?